The DEEP’s Wildlife Division (WD) is moving closer to implementing replacing culverts in the dikes at Barn Island Wildlife Management Area (WMA) in Stonington. This project is funded by a federal North American Wetlands Conservation Act grant. Hopefully, work will begin this summer to replace the old undersized culverts with new larger ones. This will enhance tidal flow and improve the health of the marshes behind the dikes. The additional flow of salt water will also help provide natural control of Phragmites, as this reed cannot tolerate high salinity. The WD is seeking to hire additional staff including a 3-year appointment of a Wetland Biologist who would work on the many state-owned inland impoundments and assist with wetland permit work and GIS work. This position would be funded 1/3 through state Duck Stamp funds and 2/3’s by federal Pittman-Robertson funds. The WD is also creating a 5-year contract with Ducks Unlimited to accomplish a variety of wetland conservation projects. This would be funded by state Duck Stamp funds. These efforts represent wise use of Duck Stamp funding. Also, encumbering these monies now could avoid a future “sweep” of those funds by the Legislature, as has happened previously. These efforts will help offset the Wildlife Division’s WHAMM (Wetlands Habitat and Mosquito Management) Program's loss of personnel. WHAMM has gone from seven full-time employees to three in recent years! Yet, the Program keeps moving ahead. They were part of a group of Conservation partners that recently completed the first year of treatment of Phragmites in Lord’s Cove WMA in Lyme. Typically, when an area is treated for Phragmites control, the first year gets most of it, but follow-up treatment of small patches is usually required for the following two years. WHAMM also completed several small Phragmites control projects throughout the state. This coming year they will be working on a project to clear clogged channels at Haddam Meadows State Park in Haddam to facilitate the northern pike breeding program. This area is also of great value to waterfowl. 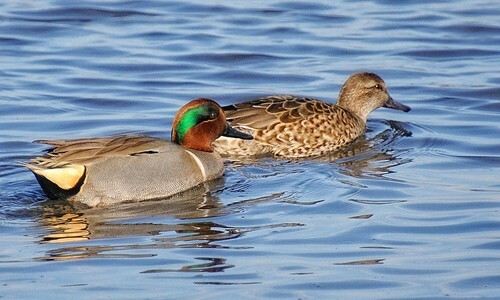 An ambitious effort involving the WD and several Conservation Partners, “Connecticut Bird Atlas Project” will kick off this spring. This Project will both document the distribution of breeding, wintering, and migrating birds across the state and provide population estimates for most species. The last Atlas effort goes all the way back to the mid-1980s, so this project is long overdue. 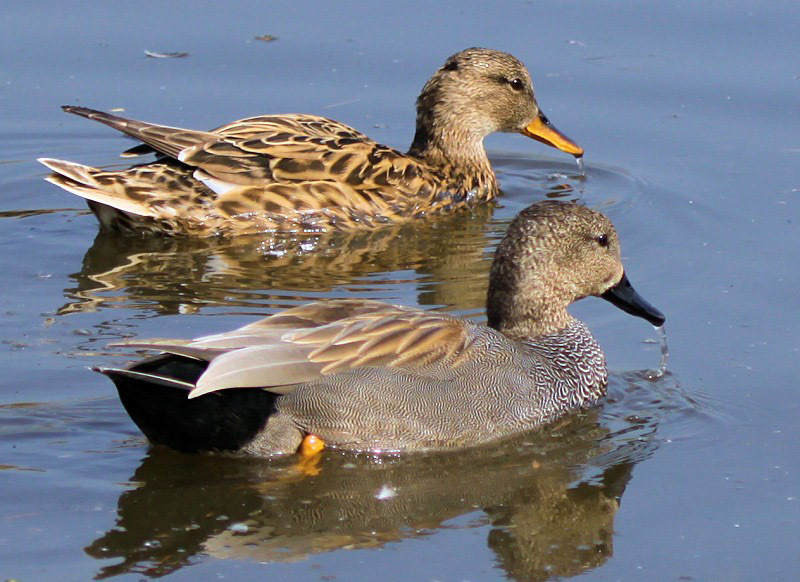 Of interest to waterfowlers, is that this project will identify the status of some of the rare ducks that are breeding in Connecticut, such as blue-winged teal, green-winged teal and gadwall. If you are a birder, or anyone in your family, please consider volunteering to help by going to www.ctbirdatlas.org and signing up. Babcock Pond Wildlife Management Area (WMA), located in Colchester and East Haddam, is the largest WMA east of the Connecticut River. One unique feature of this 1,500-acre WMA is the handicapped accessible hunting trail that is located through a portion of the property. 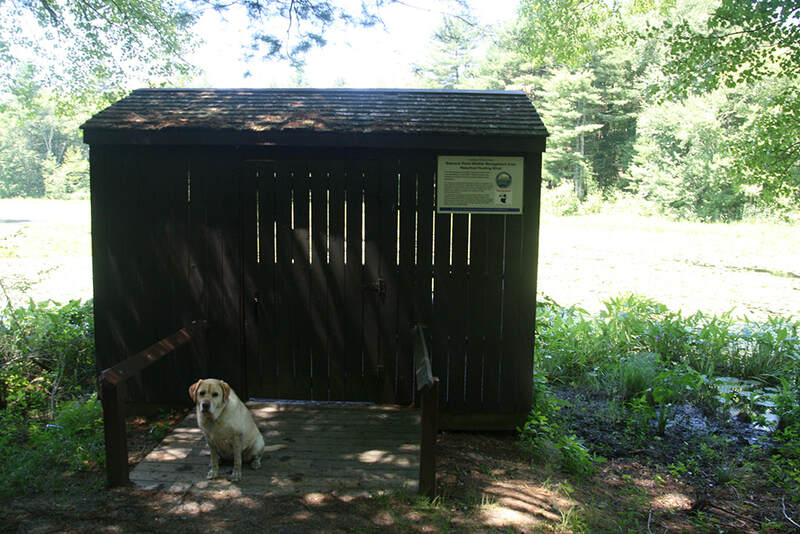 This trail is accessible from a parking lot on Miles Standish Road and winds through a variety of habitats, including old field, mature forest, and an abandoned apple orchard. The area adjacent to the trail is stocked with pheasants each fall. 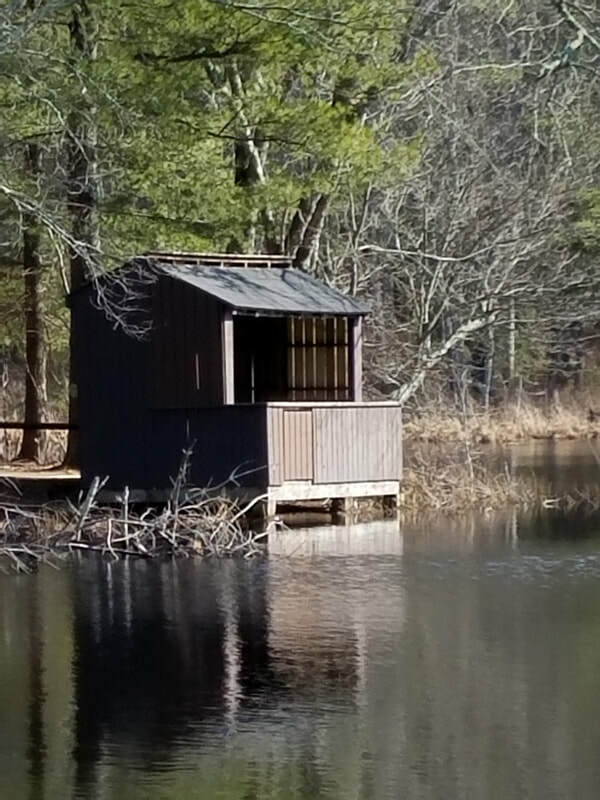 Due to the trail’s proximity to Standish Pond, a handicapped accessible waterfowl hunting blind was constructed there in the 1980s. This blind provides further hunting opportunities for those who use the property’s handicapped accessible hunting trail. Due to recent incidents of vandalism, the blind was in need of numerous repairs, which included replacing the asphalt roof, multiple floor and side boards, posts, railings, and a door. 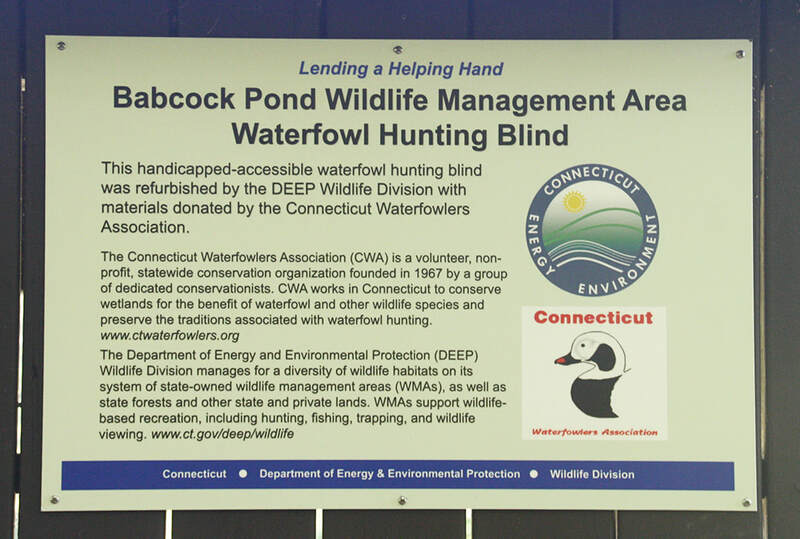 The Connecticut Waterfowl Association (CWA) offered to supply the Wildlife Division with the materials necessary for the blind’s renovation. Without this generous donation, the blind could not have been renovated in such a timely and efficient manner. This is not the first time CWA and DEEP have worked cooperatively together. 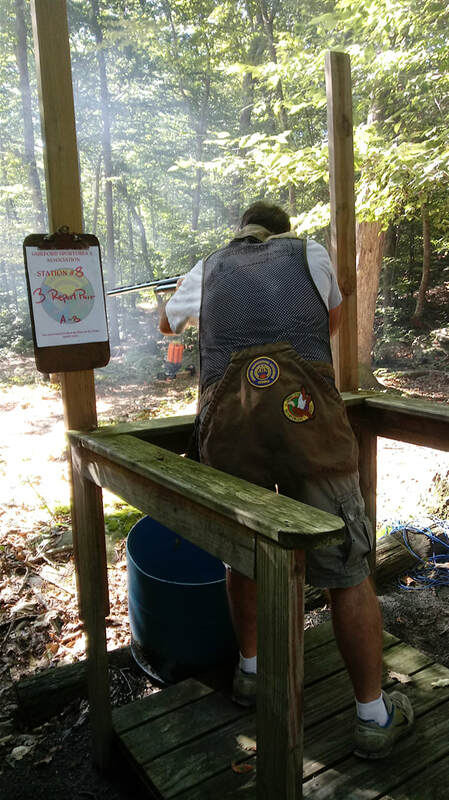 Over the years, CWA has partnered with the Wildlife Division to protect and enhance wetlands throughout the state, recruit new hunters into the sport, and supply volunteers for many of our projects.